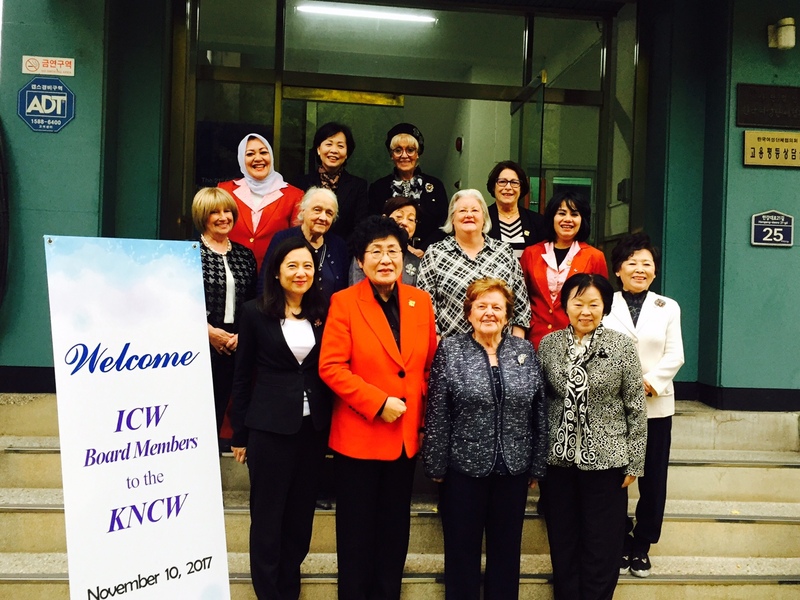 All ICW Board Members, with the exception of Jamal Ghibril Hermes, who was unable to travelbut joined via Skype, arrived in Seoul, Korea on 6 November 2017, to attend the Autumn Board Meeting from the 7th tothe 11th of November. While many important matterswere discussed, key among them were preparations for the UNCSW62 sideand parallel events to be held in New York in March and theYogyakarta General Assembly (GA) in September 2018. 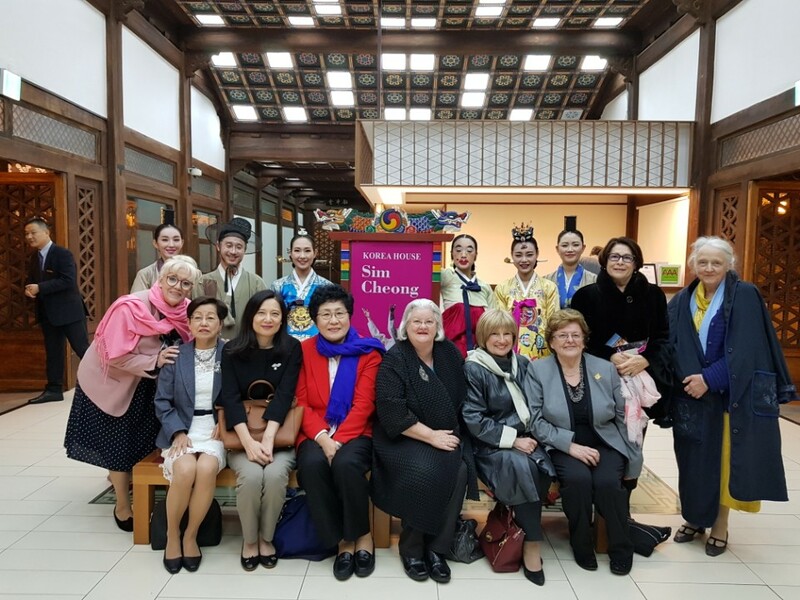 Inher Presidential Report, ICW President Jungsook Kim congratulated ECICW(European Center of International Council of Women) for successfully hostingtheir 2017 Autumn GA in Pavia, Italy from the 6th to the 9th of October. Shealso expressed her appreciation to Fatos Inal, Nebiye Isin Atala, Jamal GhibrilHermes, and Doris Bingley for their important contributions. President Kim toldthe board that in August she had invited Giwo Rubianto, president of KOWANI (NationalCouncil of Women in Indonesia), and her team to Seoul to discuss details of theupcoming 35th ICW GA in Yogyakarta, Indonesia to be held from the 11th to the17th of September 2018. TheTreasurer, Martine Marandel, reported on the financial transactions ofICW in 2017. President Kim stressed that it is essential that reportsof monetary transactions be made more regularly as ameans of enhancing financial transparency so that board members areable to stay on top of the current financial picture of ICW. VicePresident and Finance Committee Chair, Hean Bee Wee, reported on thefinancial state of ICW, including status of affiliation fees andother-sourced funds. President Jungsook Kim presented board members with theinvoices and bank account statements pertinent to activities of the Seouloffice. On the topic of other funds, Vice President Linda Liu introduced abrief history of LELAF(Louise van Eeghan Lady Aberdeen Fund) andthe relationship between LELAF and ICW. The Board agreed that there should bemore frequent communications between LELAF and ICW going forward. Vice-PresidentElisabeth Newman provided updates on the ICW development project in Lesotho andthe Project Five-O project in Papua New Guinea, two programs to train localwomen in the realm of entrepreneurship. The project in Papua New Guinea additionallyaims to start a cycle of mentorship and training as an importantcomponent. When the first group of trainees completestheir training, they will, in turn, educateother women using what they themselves havelearned. Elisabeth Newman expressed her willingness to meet with thelocal contact persons todiscuss additional means to enhance thesedevelopment projects in the future. The Chair of the Lydie Rossini Fund, LindaLiu, presented a progress report on the Lydie Rossini Fund project in Indiathat provides vocational training for embroidery and beautician skills to helpwomen become financially independent. The Board agreed that good,clear communication among the project coordinators is essential,particularly with regard to these development projects. Vice-PresidentDoris Bingley indicated that a newly formed National Council (NC) of Women in theRepublic of Cyprus expressed interest in joining ICW. This new NC iscomposed of women’s organizations which had previously worked with ICW as partof NCW-Greece, but now wishes to join ICW as a separate council. 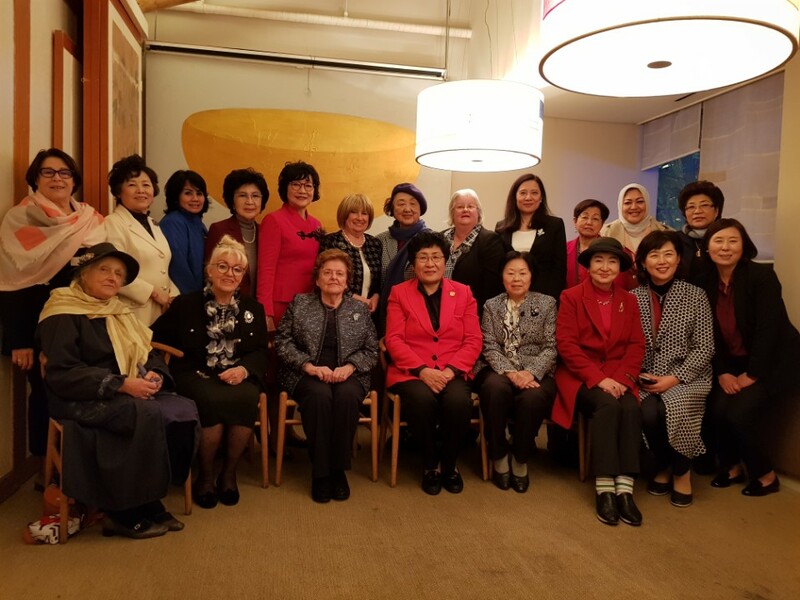 TheBoard discussed various themes and venues for the ICW side andparallel events to be held during UNCSW62 in New York City in March2018. Two delegates from KOWANI also joined the Board meeting todiscuss specific program details for the Yogyakarta GA. Itshould be noted that the 35th ICW GA in September 2018 will markthe 130th anniversary of ICW. Hence, the organizers are planning to invite severalrenowned speakers from around the world to sharetheir inspirational views on gender equality and the advancementof women. Board members also provided updateson regional activities relevant to ICW. President Kim discussed the RegionalCouncil of Americas meeting to be held during the CSW event in New York. Forthe Asia Pacific Region, Vice-President Linda Liu reported on the Gender Equal NZ campaign of the NCW ofNew Zealand, a symposium on new economic activities for women called “5080Women for Women” organized by the Korean National Council of Women, and aposter competition on the theme, “Girls Stand Up! Adamantly Say No!” held byNCW of Taiwan, ROC focusing on violence against young women. Board Member FatosInal introduced various activities in ECICW, such as details on a conferenceabout diverse Jewish women throughout Europe, and presented updates onEuropean national councils. She noted that the Greek NC’s main focus is now onrefugee children and the ability of local communities to help meet their urgentneeds. Toward the end of the meeting, theBoard discussed the critical importance of strengthening ties between NationalCouncils, Standing Committees and UN Representatives with the ICW Board as ameans of extending the international reach and effectiveness of ICW. BoardMembers also shared their resolve to diversify the demographics of ICWmembership and attract younger people to join the ranks of ICW. They unanimouslyagreed that the Board should formulate strategies and plans which will resultin expanding ICW in the future.